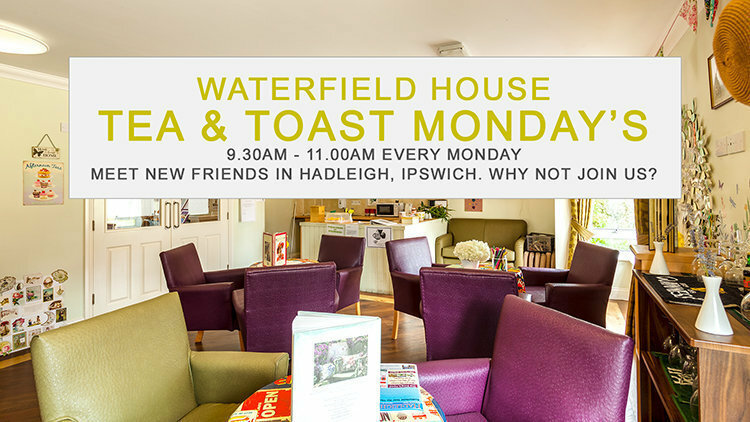 Waterfield House residential care home in Hadleigh, Ipswich invites people in the local community and surrounding areas to join them for tea and toast. Meet new friends! Socialise and relax with our residents and care team at Waterfield House over a cuppa and a slice of toast. The socialising event, hosted by the Waterfield House care team, will be open to everybody every Monday morning and aims to help older people within the community to feel a sense of wellbeing; providing a welcoming and friendly place to feel at ease and part of a lovely community. When: Every Monday, starting 23 July 2018. Waterfield House is a modern, well-established and purpose built care home situated in Hadleigh. Enjoying a pleasant location in a quiet cul-de-sac, this bright and spacious 75 bed residence offers professional, high quality care for range of needs, including specialist provision for those living with dementia. Just a 30 minute car journey from Ipswich, Waterfield House is easily accessible from the whole of Suffolk and beyond. For more information, please visit www.runwoodhomes.co.uk.